Jan. 25 is the last day the service will be offered on its U.K. commuter routes, and Feb. 1 will be the last day on U.S. commuter routes. By the end of March, Ford's Chariot shuttle service program will cease all operations in the U.S. and the U.K., the company announced. "In today’s mobility landscape, the wants and needs of customers and cities are changing rapidly," Chariot's CEO, Dan Grossman, wrote in a blog post. 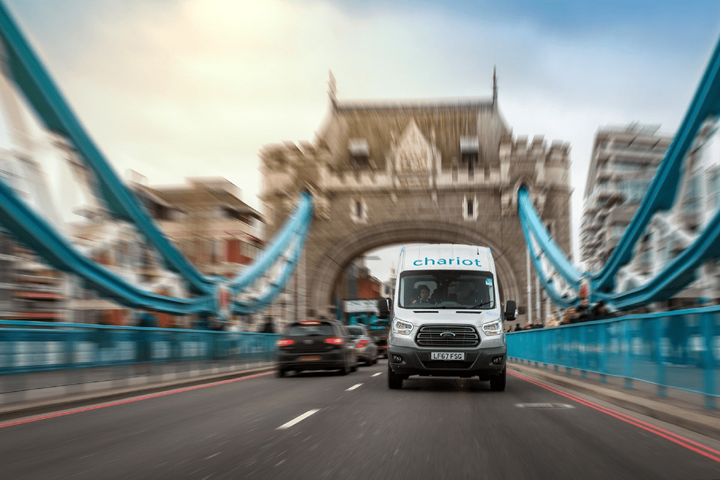 "Chariot was built on a commitment to help reduce congestion, ease the commute and improve quality of life in cities, and since our start, we have provided our customers with more than 3 million rides." The post did not cite a specific reason behind the decision to shutter operations. Chariot will refund all remaining commuter ride credit balances when service officially ends. The company said it will work with enterprise customers to help transition them to other transportation modes. Most charter trips will be completed by the closure date, although the few scheduled for after will moved to a different transportation method.